Overweight may increase the risk of many health problems, including diabetes, cancers, and certain heart disease, if you are pregnant, excess weight may lead to long and short-term health problems for you and your baby. When someone talks about being overweight or obese, they mean that someone has more body fat which is not healthy. Everyone has body fat, but too much fat can lead to several health problems. Overweight kids might find it hard to get active and keep up with friends on the playground. They might be teased or body shamed about their body shape and weight. A healthy body requires a minimum amount of fat for the proper functioning of the body organs such as reproductive system, digestive system, and immune systems, heart, and also fat can be used as energy for future use. But the accumulation of too much fat in your body can impair the movement, flexibility, and alter the appearance and shape of your body. More than 87% of adults suffering with diabetes are overweight. Due to diabetes, your body balance will be disturbed and more prone to get the sugar level increased. The fat accumulated in the obese person forces the cells of the body to change their property and making them resistant to the hormone insulin. Insulin carries sugar from the blood to the cells, where it is used as energy. Your habits how much you eat — and what kind of food you eat, and how much you exercise — can make a big difference. A weight problem also can make you feel embarrassed, angry or even sad, when people feel bad, they may eat more because food can give satisfaction to your mind. This isn’t a good idea, especially when someone is already overweight and obese. This happens very easily in a modern lifestyle. People spend so much time in front of screens, like phones, TVs and computers, and less time moving around. We drive everywhere instead of walking and cycling. Some schools have gym and yoga classes every day but the kids prefer playing video and mobile games in comparison to active games like football, basketball, and cricket. Vegetables: Tomatoes, spinach, mushrooms, mustard greens, okra, onions, bitter melon, cauliflower, cabbage and more. Nuts and seeds: Almonds, cashews, peanuts, sesame seeds, watermelon seeds, pumpkin seeds, flaxseeds, chia seeds and more. Healthy fats: Coconut milk, Low-fat dairy, avocado, coconut oil, peanut oil, mustard oil, olive oil, and sesame oil. Fruits: Including mango, papaya, plums, bananas, pomegranate, guava, oranges, lychee, apples, melon, and pears. Roots and tubers: Carrots, sweet potatoes, turnips, yams, and ginger etc. Fast food like McDonald’s, French fries, chips, fried foods, burgers, pizzas, noodles, momos, and samosas etc. Overcooked and highly processed food. Hot water with honey: A good quality honey contains many important antioxidants such as organic acids and phenolic compounds like flavonoids. Honey also helps to reduce bad LDL cholesterol while significantly raises HDL which is good cholesterol. Take a medium size glass and fill it with hot water. Add one tablespoon lemon juice and 1 tablespoon of honey to it. Drink this in the morning with empty stomach. Practice this remedy on a daily basis and you will certainly notice the difference. Adding Apple cider vinegar to your diet can help you to lose your body weight. It can also reduce your total body fat percentage, make you feel light and active. 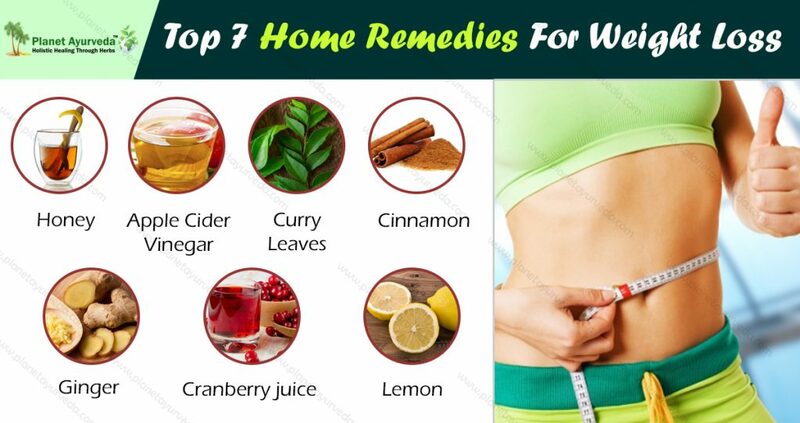 This remedy not only helps in reducing the chubbiness of your tummy but also in maintaining the blood sugar level in your body. Take one glass of water and add one tablespoon of apple cider vinegar to it. Drink it in the morning with an empty stomach for a better result. Curry leaves have anti-bacterial and anti-inflammatory properties. Curry leaves are said to have alkaloids that help in wound healing. It is packed with the very high content of vitamin A, B, and vitamin E, which helps your heart function better. Carbazole which is an alkaloid present in curry leaves work against weight gain and help in regulating high body cholesterol level. To increase their consumption, you can add fresh or dried curry leaves to your meals. You can also add curry leaves to your salad. It is a spice used in our kitchen, which works as a great fat burner. It is loaded with Antioxidants and Anti-Inflammatory Properties which is very effective to lose your body fat. Take a ½ tablespoon of cinnamon powder and steep it in hot water for 5 minutes. Now add 1 tablespoon of honey after straining this cinnamon drink. Drink this before your morning first meal and before going to bed. Gingerol is the main bioactive compound in ginger, which is responsible for its mechanical properties. It has strong anti-inflammatory and antioxidant effects which help to reduce your extra fat. Ginger can be used fresh, dried, and in powdered form or as an oil or juice, and is sometimes added to processed foods. It is a very common ingredient in your kitchen. Cranberry juice is rich in organic acid which is one of digestive enzyme and help in burning fats. You should not add any sweetener to your cranberry juice. Drink unsweetened cranberry juice will give you better results. It is very effective in weight loss and also a very good source of Vitamin C. It has an antioxidant property which helps to protect your cell form free radicle damage. Take one glass of hot water and add 1-2 tablespoon of lemon to it. Drink it early morning before your breakfast.